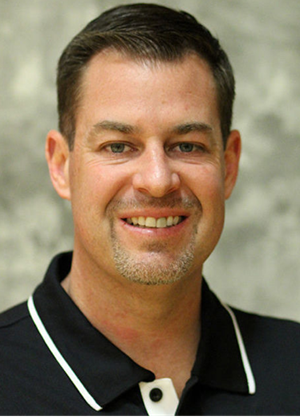 It was a homecoming of sorts for OSU alumnus Scott Rueck, who was named the fifth head coach in the history of the Oregon State women’s basketball program on June 30, 2010. Rueck has been the architect of an accelerated turnaround of the women’s basketball program at Oregon State, bringing the team onto the national stage. Rueck has led the Beavers to the NCAA Tournament in four-straight seasons for the first time in program history. Oregon State won it’s third-straight Pac-12 title in 2016-17, and tallied the second-highest win total in OSU history with 31. Under Rueck’s tutelage, senior Sydney Wiese became the 14th player in Pac-12 history to earn All-Pac-12 honors all four years of her career, and the Beavers claimed Pac-12 Defensive Player of the Year honors for the third-straight season, as Gabriella Hanson received the award. Rueck took home some hardware of his own as well, as he was named Pac-12 Coach of the Year. The Beavers enjoyed the best season in program history in 2015-16, winning a school-record 32 games on their way to the team’s first ever Final Four. The NCAA Tournament journey was highlighted by a victory over national power Baylor in the Elite Eight and a pair of wins at Gill Coliseum, as Oregon State hosted the first two rounds of the tourney for the second-straight season. The Beavers also made their mark in conference play, winning their second-straight Pac-12 regular-season title, and notching the program’s first Pac-12 Tournament championship. For his leadership, Rueck was named one of four finalists for Naismith National Coach of the Year, joining Geno Aurienna (UConn), Muffet McGraw (Notre Dame) and Dawn Staley (South Carolina), and was the runner-up for AP Coach of the Year. Under Rueck’s guidance, Jamie Weisner was named the 2016 Pac-12 Player of the Year, and was tabbed as a WBCA All-American. Ruth Hamblin notched her second-consecutive Pac-12 Defensive Player of the Year honor, while Weisner, Hamblin and Sydney Wiese were all named to the Pac-12 First Team. Rueck’s outstanding sixth season came on the back of an impressive 2014-15 campaign, as the Beavers notched 27 wins, en route to a Pac-12 Regular Season Title. For his efforts, Rueck was named Pac-12 Coach of the Year by both the media and the coaches, and earned WBCA Region 8 Coach of the Year honors for the second consecutive season. The Beavers’ success on the floor was reflected in the national polls, as OSU was ranked as high as No. 7 in both the AP and USA Today/WBCA Polls during the season, the best rankings in school history, before the team ended the year ranked No. 13. Oregon State also set a new program-best with a 16-2 conference record, surpassing the mark set in 2013-14. The Beavers went 14-2 at home, extending their home winning streak, which began in 2013-14, to 23 straight games. The historic season led to an increase in attendance, as the Beavers averaged a Pac-12 leading 4,167 fans per game, and welcomed 7,652 fans to Gill Coliseum for the Civil War on Jan. 9, the third-largest crowd in school history. Under Rueck’s guidance, Ruth Hamblin earned AP Third Team All-America, Pac-12 Player of the Year (media) and Pac-12 Defensive Player of the Year honors, and was joined on the All-Pac-12 team by teammates Jamie Weisner and Sydney Wiese. The Beavers also led the conference with four Pac-12 Player of the Week awards on the season. The Beavers finished 2013-14 24-11 overall, and ended the year tied for second in the final Pac-12 standings. Oregon State also advanced to its first NCAA Tournament since 1996 and won its first game in the event since 1995. The Beavers ended the year ranked 25th in the USA TODAY Coaches’ Poll, their first time in the national rankings since 1996. For the second time in four seasons the Pac-12’s media tabbed Rueck as Coach of the Year and he was picked as the league’s best by ESPN. Rueck was also named Russell Athletic/WBCA Region 8 Coach of the Year and was a finalist for the inaugural Pat Summitt Trophy for the 2014 Russell Athletic/WBCA NCAA Division I National Coach of the Year. Oregon State propelled itself into the national conversation following a late-season 11-game win streak, which matched the second longest in school history and was the best in 31 years. Each win during the run was by at least 10 points, three came by 20 and the average margin of victory was 16.1 points. Oregon State’s 2012-13 campaign was highlighted by another stalwart defensive group and a young crew of five freshmen that produced more than any other collection of first-year players in the conference. The Beavers finished the season 16th in the nation in field goal percentage defense, holding opponents to a school-record low 34.6 percent. OSU also was 11th in the country in blocks per game (5.5) and was the only team in the nation that boasted seven different players with at least 10 rejections. Oregon State’s promising freshman class scored more than 46 percent of the team’s points, the highest ratio in the Pac-12. With another young squad in 2011-12 picked to finish last in the Pac-12, Rueck and the Beavers defied the odds, finishing fifth in the conference with a 9-9 mark, 20-13 overall, and made the third round of the WNIT. In ending the year seven spots above where they were picked at the beginning of the season, Oregon State made the largest jump between expected finish and actual result in conference history. Those achievements earned Rueck a pick as the Pac-12 Coach of the Year, as voted on by the conference media. In his inaugural year as head coach of the Beavers, Rueck led an inexperienced squad, with only one player possessing NCAA Division I experience, to a 9-21 record. Oregon State lost some close games to open Pac-10 play before earning its first conference win over Washington at Alaska Airlines Arena. Shortly after, the Beavers claimed their second Pac-10 victory at home in Gill Coliseum in what is believed to be the biggest come-from-behind victory in program history, overcoming a 20-point deficit to defeat Oregon, 61-59, in the Civil War. That same year, Rueck was also inducted into the George Fox Sports Hall of Fame. Rueck came to Oregon State after spending 14 highly successful seasons as the head women’s basketball coach at George Fox, compiling a career 288-88 (.766) record. Under his watch, the Bruins recorded winning seasons each year and claimed the Division III National Championship in 2009 with an unblemished 32-0 record. Rueck led his squads to five Sweet 16 appearances, three Elite Eight contests, six NCAA Division III Tournament appearances and seven Northwest Conference Championships. During his time at George Fox, Rueck coached four NAIA All-Americans, four NCAA All-Americans and 33 All-Northwest Conference honorees. Individually, he was named the NCAA Division III National Coach of the Year in 2009, was a three-time NCAA Division III West Region Coach of the Year (2008, 2009, 2010) and a seven-time Northwest Conference Coach of the Year (2000, 2001, 2005, 2007, 2008, 2009, 2010). Rueck got his start coaching while an undergrad at Oregon State. He served as assistant coach at Santiam Christian High School for the boy’s basketball team from 1989-93. He then became a women’s basketball assistant at George Fox under former head coach Sherri Murrell, helping the Bruins to a 37-23 overall record and two NAIA postseason appearances. Additionally, he coached the women’s tennis team in 1995-96. Basketball runs in the Rueck family. His sister, Heidi, was an NAIA All-American point guard at George Fox, setting the school records in career, single season and single-game assists and was eventually voted into the school’s Sport Hall of Fame in 2005. His father, Marv, was a part of the coaching staffs at Hillsboro and Glencoe High Schools and was the inaugural head coach at Glencoe when it opened in 1980. Rueck earned a bachelor’s degree in exercise and sport science from Oregon State in 1991, while adding a master’s in physical education in 1992. He is married to the former Kerry Aillaud, and the couple has three children, Cole, Kate and Macey. Kerry played basketball for George Fox from 1993-95, while serving as assistant coach for the program from 1998-06. Jonas Chatterton, is entering his 4th season with the Beavers in 2016-17, and his 13th year as a Division I assistant. Chatterton’s first two season with the Beavers proved to be the best years in school history. The assistant coach helped guide Oregon State to its first ever NCAA Final Four in 2015-16, as the team went 32-5 and defeated national power Baylor in the Dallas Regional to make it to the final weekend of the season. The Beavers also notched Pac-12 Regular Season and Tournament titles, and ended the year ranked No. 2 in the WBCA Coaches’ Poll. Chatterton helped Oregon State players to a number of individual honors as well, as guard Jamie Weisner was named an All-American and Pac-12 Player of the Year. Weisner was joined by teammates Ruth Hamblin and Sydney Wiese on the All-Pac-12 Team for the second-straight season. Oregon State tallied 27 wins, won its first ever Pac-12 title and earned a No. 3 seed in the NCAA Tournament in 2014-15, Chatterton’s first year with the team. Along the way the Beavers also earned a number of impressive victories, including a road win over No. 6 North Carolina, a pair of wins over No. 12 Arizona State and a victory over California to lock down the conference championship. The Salt Lake City native came to Corvallis by way of Colorado, where he was on staff for four seasons, including the last as associate head coach. During his time in Boulder, the Buffaloes won 83 total games and made postseason appearances each year, highlighted by an NCAA Tournament run in 2013. Chatterton played integral roles in recruiting, opponent scouting, post development and putting together Colorado’s offensive and defensive schemes. He helped the Buffaloes to WNIT quarterfinal appearances in each of his first two seasons and a trip to the third round in 2014. The 2011-12 squad enjoyed its first 20-win season in eight years (21-14) and also marked the first back-to-back winning seasons for Colorado since 2003-04. In his first year at CU, the Buffaloes were 18-16, including wins over a pair of ranked teams. One reason for Colorado’s upswing was the development of its front court. Among many, Chatterton helped forward Arielle Roberson to 2013 Pac-12 Freshman of the Year honors. He was valuable on the recruiting trail for CU as well, helping the Buffaloes acquire the 27th best recruiting class in the nation in 2012, according to ESPN.com's HoopGurlz, a class that included a pair of national Top 100 recruits. Before heading to Colorado, Chatterton spent eight highly successful seasons as an assistant coach at BYU (2001-09). While in Provo, the Cougars compiled a 157-89 record (.638), won two Mountain West Conference regular-season titles (2006-07), one MWC Tournament crown (2002) and went to the NCAA Tournament four times. Chatterton’s success has garnered the coach national recognition and he has been part of a select group invited to Nike’s renowned Villa 7 Consortium each of the last two years, which brings together university athletics directors and the country's elite assistant coaches in an effort to prepare the next generation of college basketball leaders. Less than 10 percent of women’s basketball assistants from the nation’s nearly 350 Division I programs have received invitations to the exclusive event the past three years, which has grown to become one of the most respected gatherings for professional development and networking in the country. Prior to joining BYU, Chatterton spent two years as an assistant men’s coach at Westminster College, an NAIA school in Salt Lake City (1998-2000) where he helped revive a program that had been discontinued in 1979. He received his bachelor’s in exercise and sport science from the University of Utah in 2000. He played one year of basketball for Rocky Mountain College (Mont.) before transferring to Utah. Prior to arriving in Boulder, Chatterton took one year off from collegiate coaching (2009-10), working as the Director of Sales and Marketing for OrthoRx Inc, a medical supply company in San Diego. He remained involved in basketball as a coach for the Cal Swish Basketball Club of Orange County. Chatterton has a daughter Josie and he and his wife Cami have two daughters, Celia and Jada, and a son, Hudson. Brian Holsinger joined the Oregon State coaching staff in the summer of 2016. Holsinger has 16 years of coaching experience under his belt, including eight years at Washington State. The Western Washington graduate was promoted to Associate Head Coach in 2014-15, his final year with the team, after spending the prior seven seasons as an assistant. During his time at Washington State, Holsinger was heavily involved in the team’s recruiting efforts, helping the Cougars lock down some of the best signing classes in program history. His 2007-08 recruiting class was ranked No. 16 in the nation by Blue Star Basketball. Holsinger helped guide Washington State to WNIT berths in 2013-14 and 2014-15. The 2014 appearance was WSU’s first trip to the postseason since 1991. Holsinger also coached guards Lia Galdera and Tia Presley to All-Pac-12 honors in 2015. Prior to entering the Division I coaching ranks, Holsinger spent two years as the head coach of NAIA program Montana Tech. During his tenure, he guided the Orediggers to the program’s first Top-25 ranking. Holsinger also engineered the biggest turnaround in Montana Tech history, taking the team from three wins in 2005-06 to 16 wins in 2006-07. Holsinger’s coaching career began as an assistant at The Master’s (Calif.), where he worked from 1999-2005. Before coaching at Montana Tech, Holsinger served as the head assistant coach at The Master's College in Santa Clarita, Calif., from 1999-2005. During his tenure, the Mustangs posted a record of 132-58 and were a perennial top 10 nationally-ranked team. The squad also made four NAIA national tournament appearances. Holsinger graduated from Federal Way High in Federal Way, Wash., in 1994. During his college career, he played his freshman season at Pacific from 1994-95, before transferring to Western Washington to complete his bachelor’s of science degree in biology. Holsinger is married to Stacey, and the couple have two girls, Brooklyn and Quinn, and one son, Kellen. 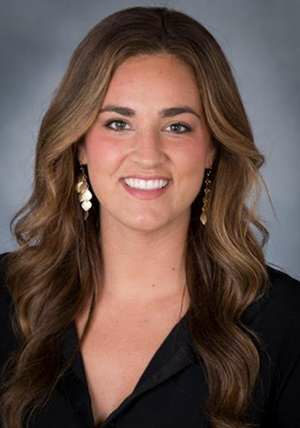 Katie Baker joined the Oregon State staff in the summer of 2016. Baker spent the 2015-16 season as a graduate assistant coach at Wisconsin. Her tenure with the Badgers was highlighted by notable wins over Purdue and Penn State. Baker helped foster the growth of seniors Nicole Bauman and Michala Johnson. Bauman ended her career as the Wisconsin’s all-time leader in 3-point percentage, while Johnson is the Badgers’ career record holder for field goal percentage. University of Colorado-Colorado Springs. Her year with the Mountain Lions was one of the most successful in program history, as the team went 26-7 on the year, and made a run to the Sweet 16 in the Division II NCAA Tournament. Baker is one of the greatest players in the history of Montana women’s basketball. The Coeur d'Alene, Idaho, native was the Big Sky Conference Player of the Year as a senior during the 2012-13 season. She finished fifth all-time in scoring at Montana, 10th all-time in rebounding, and fifth all-time in blocked shots. Baker led Montana in scoring all four years of her career and was given All-Big Sky honors every year. While at Montana, she appeared in two NCAA tournaments, was awarded four All-Academic Big Sky honors (2009-2013), one All-Region Select Team honor (2012-13), and one WBCA All-American Honorable Mention (2012-13). Baker graduated from the University of Montana in 2013 with a bachelor's degree in exercise science. Eric Ely completed his sixth season as an assistant coach for the Oregon State women’s basketball program in 2015-16. During his time on head coach Scott Rueck’s staff, the Beavers have seen a dramatic turnaround, culminating in a Final Four appearance in 2016. Ely has helped guide the Beavers to a pair of Pac-12 titles, as well as a 32-win season in 2015-16. In his six years in Corvallis, Ely has mentored some of the best post players in the Pac-12, highlighted by a trio of Pac-12 All-Defensive Team centers who own four of the top eight best single-season shot block totals in conference history. The lineage started with El Sara Greer in 2010-11, who swatted what was then a school record 92 shots and averaged 9.2 points and 8.1 rebounds while shooting 56 percent from the field. One year later, Patricia Bright eclipsed Greer and tallied 115 rejections, converted 57.9 percent of her attempts from the floor and put up 8.7 ppg. The run on dominant centers culminated most recently with Ruth Hamblin, who set a school and Pac-12 single-season record with 141 blocks in 2013-14, before setting the Beavers’ career record for rejections in 2014-15 and the Pac-12 career record in 2015-16. The Canadian became the Beavers first All-American in over a decade in April of 2015, when she was named to the AP All-America Third Team. Hamblin also earned Pac-12 Player of the Year (Media) honors, and back-to-back Pac-12 Defensive Player of the Year honors. She also produced the first triple-double at Oregon State in 30 years on Jan. 13, 2014 against Oregon with totals of 23 points, 12 rebounds and a school-record 10 blocks. Ely owns over 15 years of Division I coaching experience, with nine coming from stints at Oral Roberts (1998-2004 and 2007-10) and Missouri (2004-07). He helped Oral Roberts to four postseason appearances, including three NCAA trips under head coach Jerry Finkbeiner. At Missouri, Ely served as the recruiting coordinator and worked with post players under head coach Cindy Stein. In just his first season with the Golden Eagles in 1998-99, Ely helped coach the team to the Summit League title and the program’s first-ever NCAA Tournament appearance. When Ely rejoined the Oral Roberts staff, the Golden Eagles repeated as Summit League champions, winning 23 games en route to the school’s first ever regular-season Summit League title and a trip to the Women’s National Invitational Tournament (WNIT). Before joining Oral Roberts, Ely was the head coach at Mt. Vernon Nazarene University in Mt. Vernon, Ohio from 1996-98. He guided the Lady Cougars to a 31-36 overall record in two seasons, improving from 12 wins during his inaugural year to 19 in 1997-98. In his final season at MVNU, Ely was honored as the National Christian College Athletic Association East Region Coach of the Year and also received votes from the Ohio Coaching Association as one of the top women’s college coaches in the state of Ohio. Ely started his coaching career at his alma mater, Northwest Nazarene in Nampa, Idaho, where he served as assistant coach from 1987-1996. He was instrumental in the recruitment of several NAIA All-Americans and helped the Lady Crusaders to a NAIA Division II runner-up finish during the 1994-95 season. As a player, Ely spent time in NBA training camp with the Detroit Pistons and played in the Los Angeles Lakers’ summer pro league. He played professionally for one year in France, where he was tabbed as the Outstanding American Player by the French media during the 1980-81 season, and four years in Brazil, earning a lifetime contract and garnering all-star status in 1984 and 1985. Ely earned a bachelor’s degree from Northwest Nazarene in 1982, adding a master’s degree from Albertson College of Idaho in 1995. He and his wife, Regina, of Belo Horizonte, Brazil, have two children, C.J. and Rachel. Sharon Rissmiller joined the Oregon State coaching staff in June of 2015 as the team’s Director of Operations. Rissmiller spent the last seven seasons as the head coach of Pacific (Ore.), leading the team to back-to-back winning seasons in 2012-13 and 2013-14. The University of Portland graduate also led the program to one of the best seasons in school history in 2008-09, when Pacific finished third in the Northwest Conference en route to its first appearance in the league’s postseason tournament since 1996. During her time with the Boxers, Rissmiller coached six All-Northwest Conference players, including a pair of two-time honorees. Prior to taking over at Pacific, Rissmiller spent three seasons as head coach of Tacoma Community College, heading up a substantial turnaround in the program, as the team finished 18-11 in 2006-07 after going 1-19 in her first year with the squad. In her time at Tacoma, Rissmiller led the team to an NWAACC Playoff Tournament appearance and saw a pair of players selected to the NWAACC All-West Region Team. 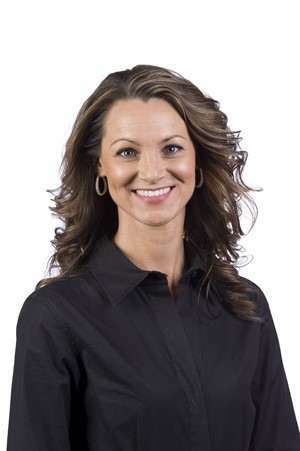 Prior to her stint in Tacoma, Rissmiller spent one season as the head women’s basketball coach at Clark College in Vancouver, Wash., and one season as the head junior varsity coach at Sunset High School in Beaverton, Ore. She also spent one season coaching Team Concept, a northwest AAU program. Rissmiller was a standout player in her four seasons at Portland, finishing her career as one of 17 Pilots to score over 1,000 points. She was a First Team All-West Coast Conference selection her senior season, after earning All-WCC Honorable Mention in her junior year. Her 462 points in the 1999-2000 campaign still ranks among the top-10 in Portland history. A native of Tigard, Ore., Rissmiller was a four-year starter at Tigard High School, where she graduated with the school’s career scoring record and led the Tigers to a fourth place state tournament finish. She was named to the 4A All-State Team as a senior and was the Metro League Player of the Year her junior and senior seasons. Kendall Knotz joined the Beavers as assistant to the head coach in the summer of 2016. Prior to taking a full time position, Knotz spent four years as a student manager. Her duties included facilitating strategic communication between members of the coaching staff, supervising a staff of managers, coordinating day-to-day activities and overseeing equipment and technology. Knotz also served as the Head JV Summer Coach at Southridge High School from 2011-2013, where she mentored players both on and off the court. 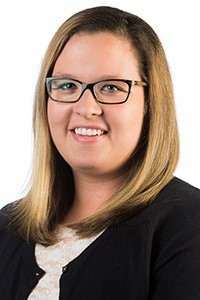 Knotz graduated from Oregon State in 2016 with a degree in marketing.